prison sentence « Hercules and the umpire. This week I will sentence several people to prison. As I prepare, I can’t get Norman Rockwell’s drawing “Freedom from Want” out of my head. 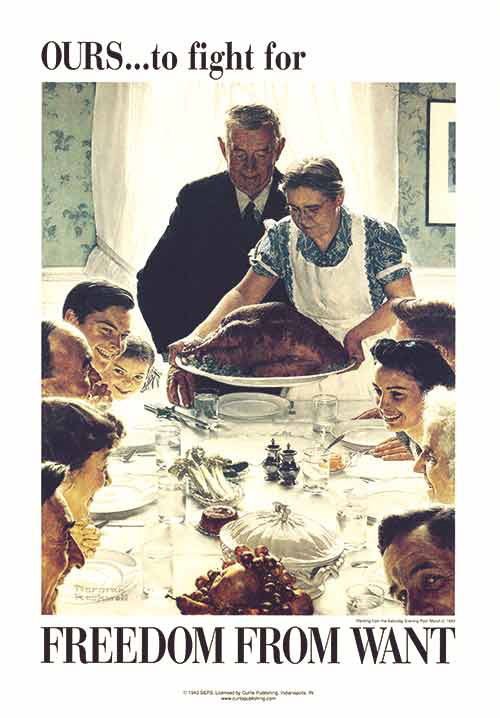 Image credit: “Freedom from Want” by Norman Rockwell From March 3, 1942, © COPYRIGHT 2014 SATURDAY EVENING POST SOCIETY. I wonder whether the people I will send to prison this week share the same image of Thanksgiving as I do. In some ways, I hope they do. Yet, it would make it easier for me if they viewed Thanksgiving as just another day. It helps to dehumanize those who you sentence to prison, but I just can’t seem to achieve that state of perfect nirvana. Poor me.